Rediff.com » Movies » Brangelina planning a spring wedding? Brangelina planning a spring wedding? Brad Pitt and Angelina Jolie, who have been together for seven years and have six children, are said to be setting their sights on a spring wedding. The Hollywood A-list couple are discussing holding the service in Pitt's hometown of Springfield, Missouri. In addition, the duo has set their hearts on a spiritual ceremony incorporating traditions from the different countries where their children were born. Three of the couple's brood are adopted -- Maddox, 10, is from Cambodia; Pax, eight, is from Vietnam and Zahara, seven, is from Ethiopia. Their biological daughter Shiloh, five, was born in Namibia and three-year-old twins Vivienne and Knox in Nice. 'The ceremony will be low-key with just family and friends invited,' the Daily Mail quoted a friend of the couple as saying. 'Angelina wants her father Jon Voight and her brother James Haven to be a part of the day. 'They are keeping their cards close to their chest. The ceremony will by no means be a showbiz event. They want total privacy. All the children will be involved -- Brad and Angelina have been researching weddings in the countries where their children were born,' the friend said. The couple, nicknamed Brangelina, started dating after meeting on the set of Mr and Mrs Smith in 2004. Pitt was previously married to Friends star Jennifer Aniston, while Jolie has been married to actors Jonny Lee Miller and Billy Bob Thornton. 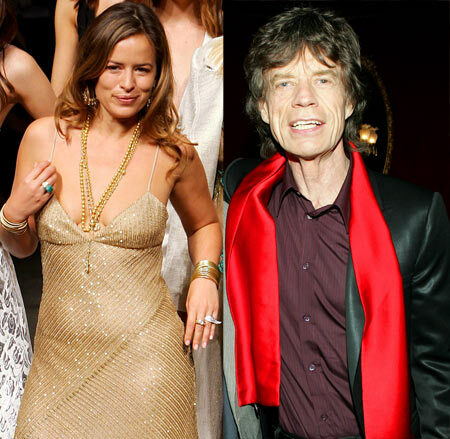 Mick Jagger's second daughter, jewellery designer Jade, has reportedly told her friends that she is getting married to music festival promoter and DJ Adrian Fillary. Fillary proposed to the 40-year-old in India last month. And in a decidedly old-fashioned romantic gesture, which may bode well for this union, he even phoned her father beforehand to ask for his daughter's hand in marriage. Jade, whose mother is the human rights activist Bianca Jagger, had two long-term loves before she met Fillary, who is also 40 years of age. She has daughters Assisi, 20, and Amba, 17, from her relationship with artist Piers Jackson. Remarkably, Jade's decision comes just days after the revelation that Amba has also found the man she wants to settle down with, her A-level student boyfriend and billionaire's son Frankie Lagrange, with whom she has exchanged rings. Jade's romantic history includes a 10-year affair with hard-partying nightclub DJ Dan Williams, with whom she lived at her farmhouse set in 20 acres in Ibiza. But last March she announced their affair was over. She also put the Ibiza estate up for sale. Jade then began dating Adrian and has told friends they are officially engaged and will marry in a few months' time in Goa, where they have been staying. She has a house and jewellery design shop on the beach in the west Indian state. 'It's going to be quite a big wedding,' the Daily mail quoted one friend as saying. Other pals likely to make the trek to Goa include designer Calvin Klein, Kate Moss and old boyfriends such as publishing heir Dan (Viscount) Macmillan. Jade's father, the founding member of The Rolling Stones, had been married twice, linked to countless beauties, has seven children by four different loves and his 'marriage' to model Jerry Hall was not even legal. Katy Perry and Russell Brand's split managed to attract the most attention on Twitter, according to a recent analysis. In the first 30 days after the pop star and British comedian announced their divorce, in late December, more than 2 million tweets emerged mentioning the estranged couple, according to an analysis of tweets on five recent celebrity breakups provided to ABC News by the Twitter tracking company Topsy Labs and the Web newspaper The Daily Dot. The reality star Kim Kardashian and her basketball player ex-beau Kris Humphries, came in close second as their October split generated more than 1.4 million tweets. Surprisingly, tweets mentioning Kutcher and Moore (who still uses the Twitter handle 'mrskutcher') for the first 30 days after their breakup totaled just fewer than 300,000 -- despite the fact that Kutcher was the first person to amass 1 million Twitter followers. Owen Thomas, the founding editor of The Daily Dot, said the Twitter breakup reaction stats seemed to reflect celebrities' overall fame. 'It's not how hip they are or how active they are on Twitter, it's how many people know them, period,' he said.